Kagura and Sakaki from the anime Azumanga Daiho. baxterblue24 Uploaded by baxterblue24 on Feb 6, 2011 . Rivals - Desktop Nexus Anime Download free wallpapers and background images: Rivals. Desktop Nexus Anime background ID 585421. 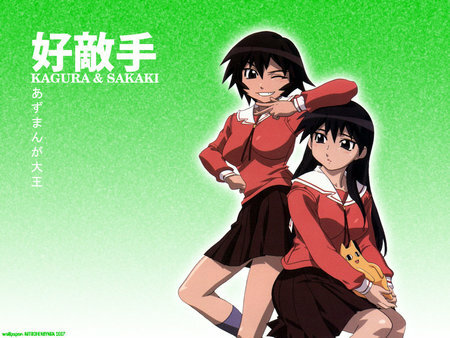 Kagura and Sakaki from the anime Azumanga Daiho.